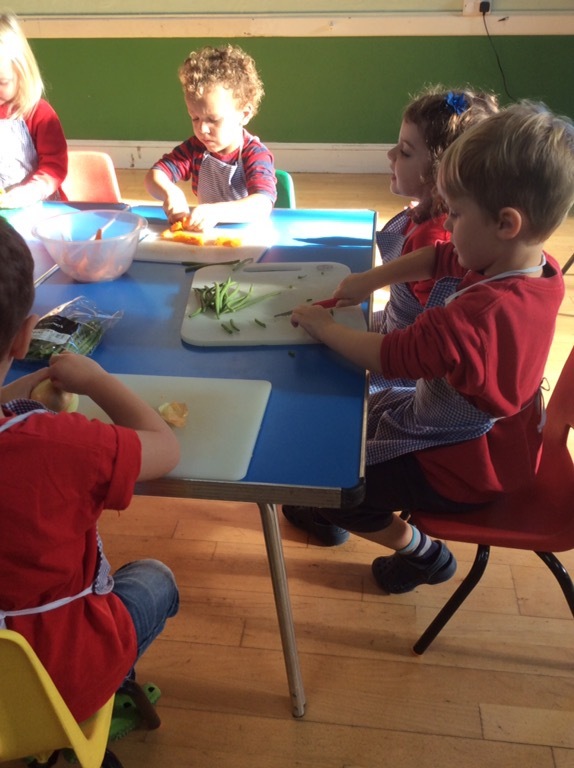 After everyone had arrived we washed our hands and put our aprons on. 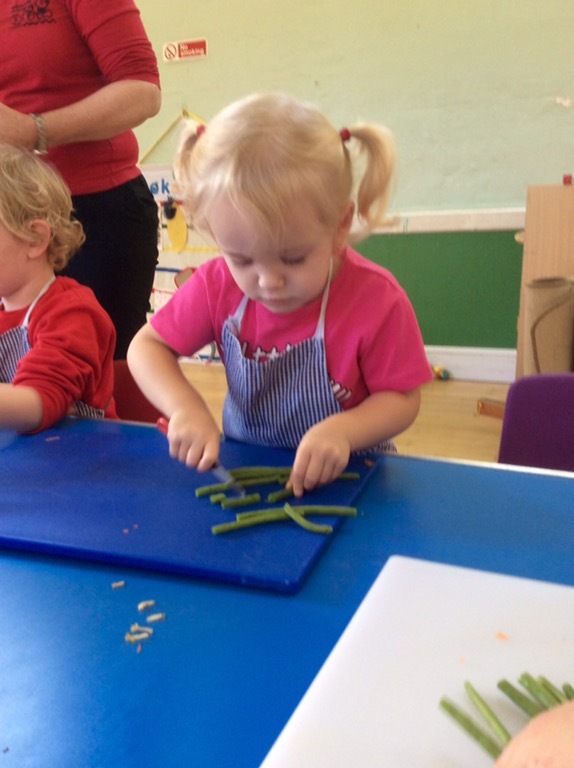 We all started preparing our soup ingredients. 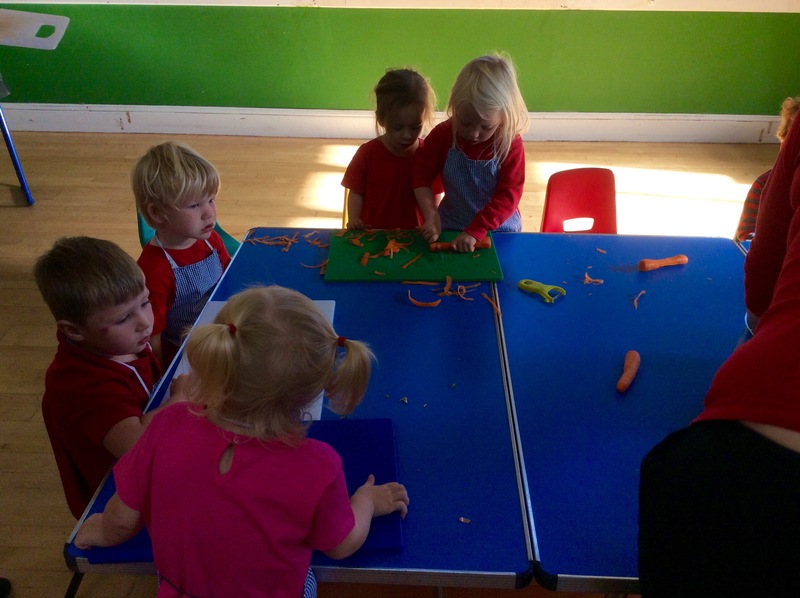 The children joined in peeling and chopping the vegetables ready to be cooked. 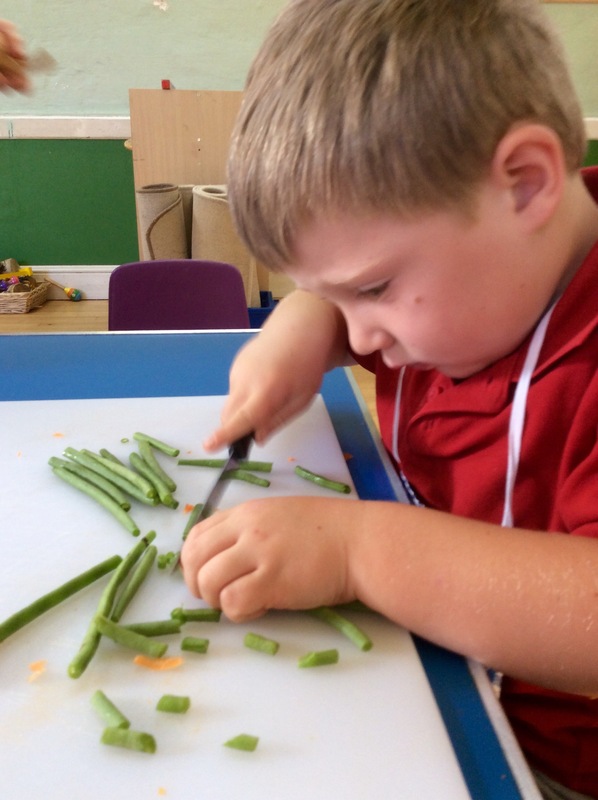 We talked about each vegetable, how it grows, it’s colour and what it feels like. 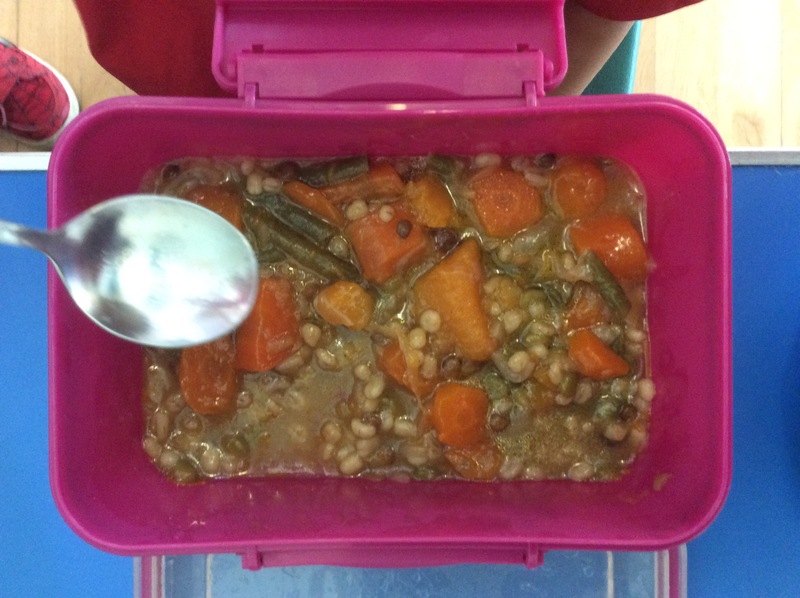 We used butternut squash, carrot, onion and green beans and also added barley and lentils. 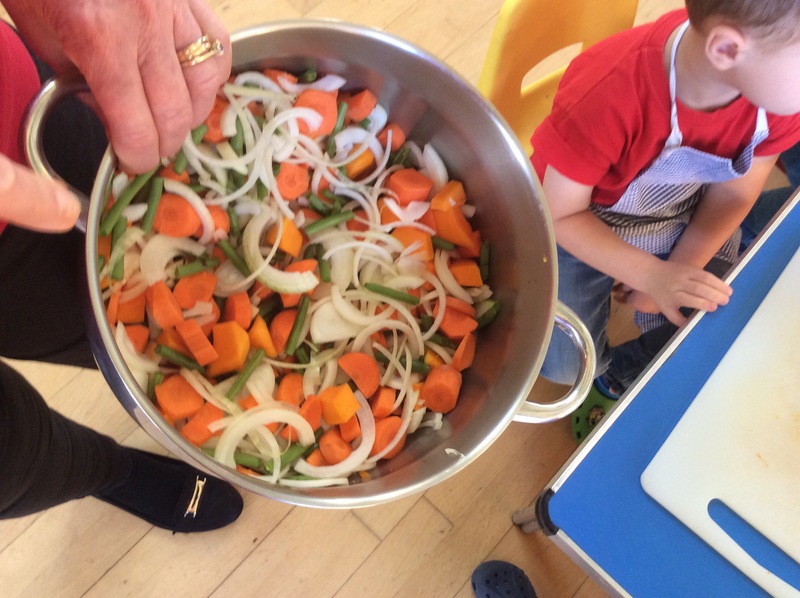 We talked about heating the vegetables using oil and hot water. 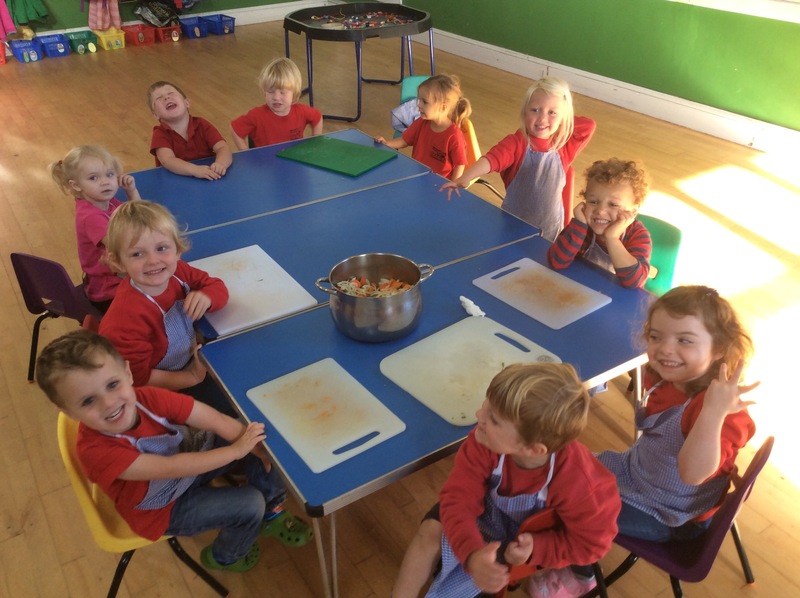 As well as making soup we had our usual snack, we enjoyed plums, banana, apples and pears. We had the gears out and in the fine motor table we used the new threading letters. The sun shining so we had time outside playing too.